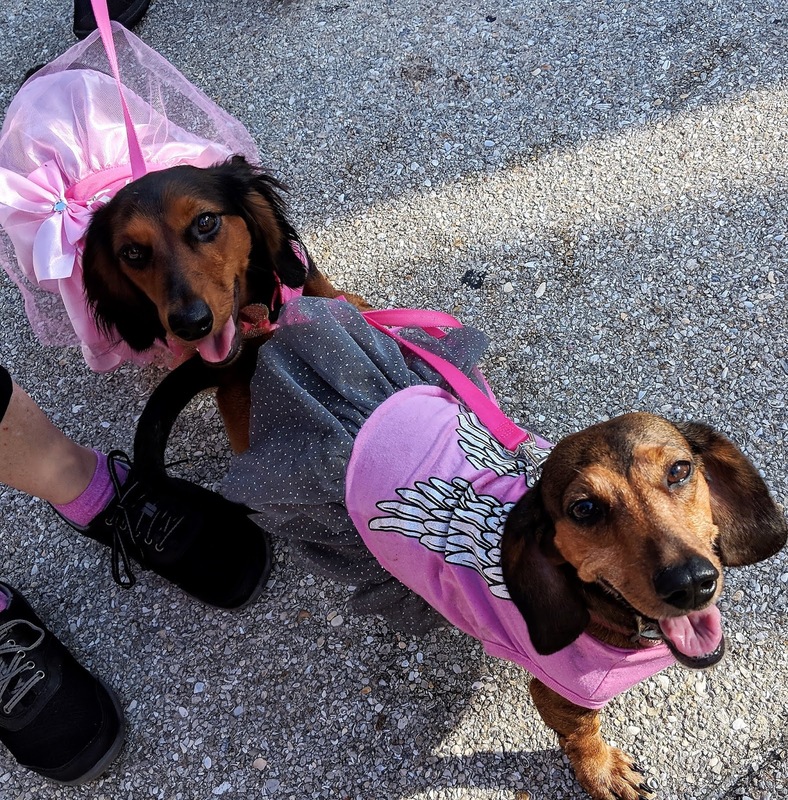 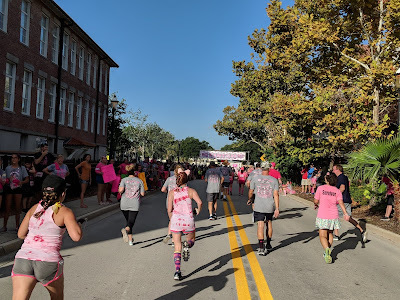 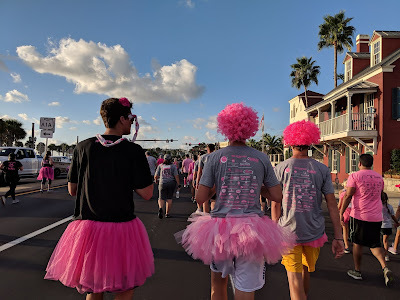 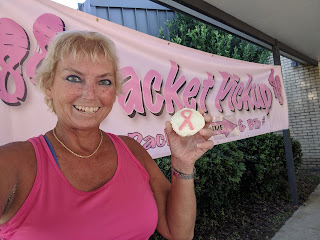 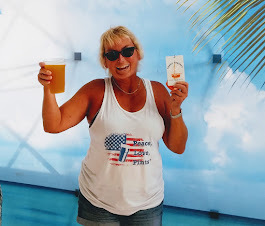 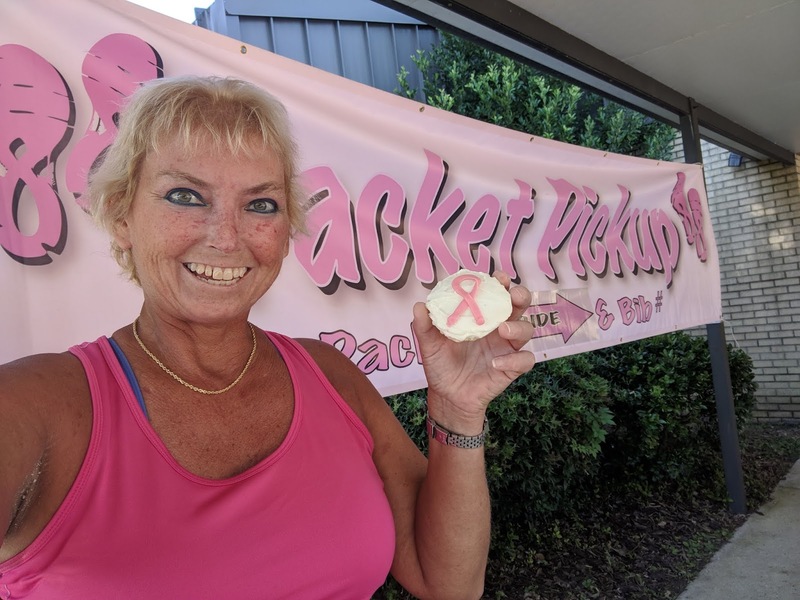 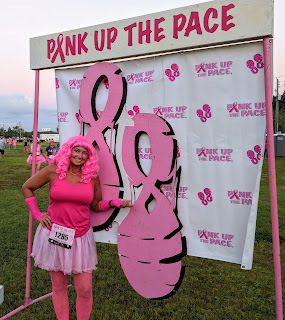 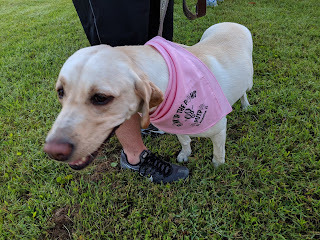 October 6, 2018: If it's the first Saturday in October, it must be time for Pink Up The Pace 5K through the streets of St. Augustine, Florida! 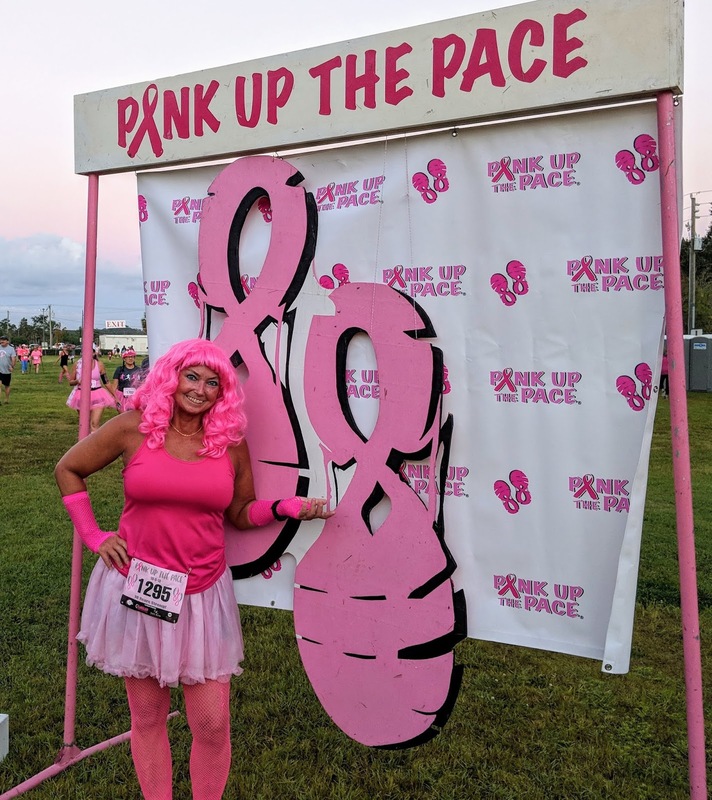 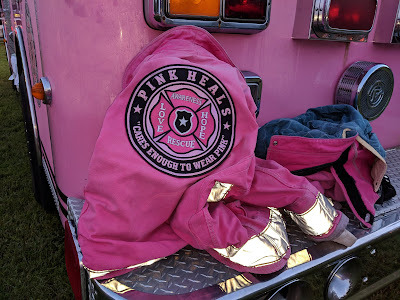 Celebrating its 10th Anniversary, Pink Up The Pace raises funds to assist those affected by breast cancer and to bring awareness to the community. The annual 5K coincides with Breast Cancer Awareness Month. 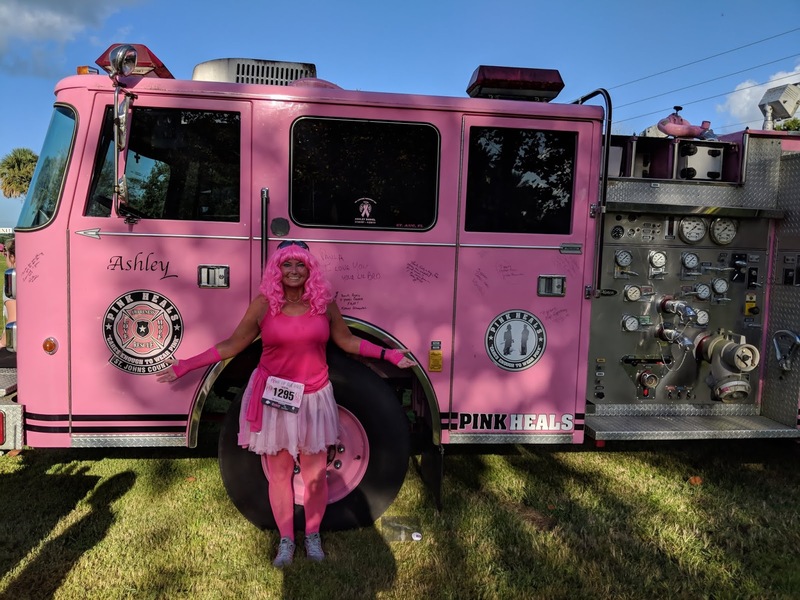 The organization was founded by Cindy Ortiz Chaconas and Amy Kaelin, both breast cancer survivors. 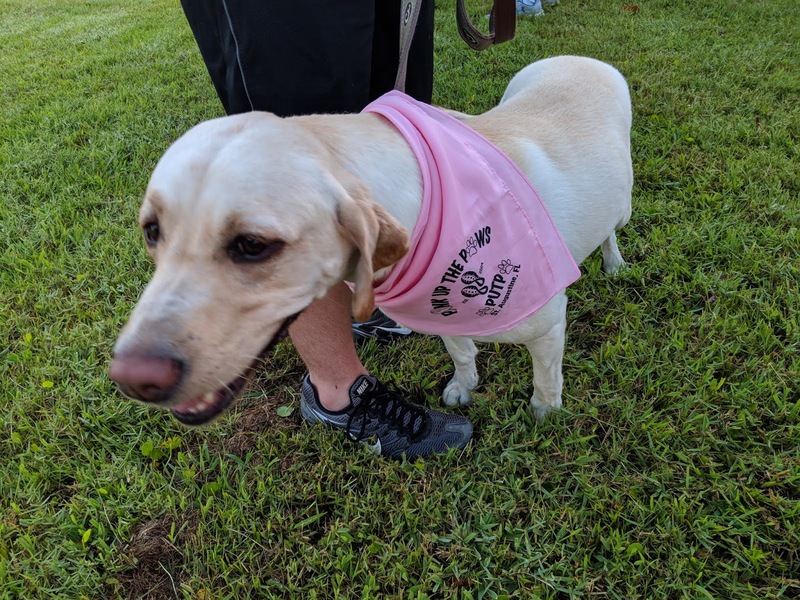 Over two thousand participants were expected for the 2018 Pink Up The Pace 5k, held on October 6, 2018. 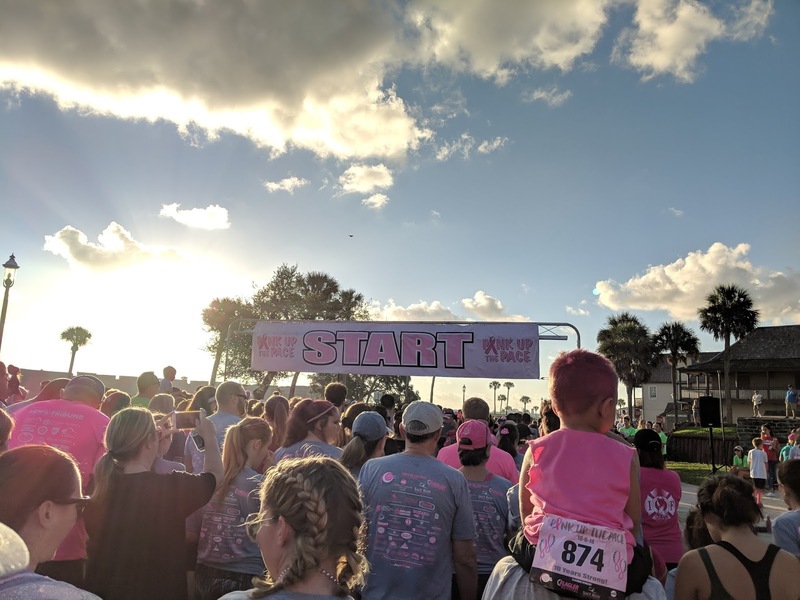 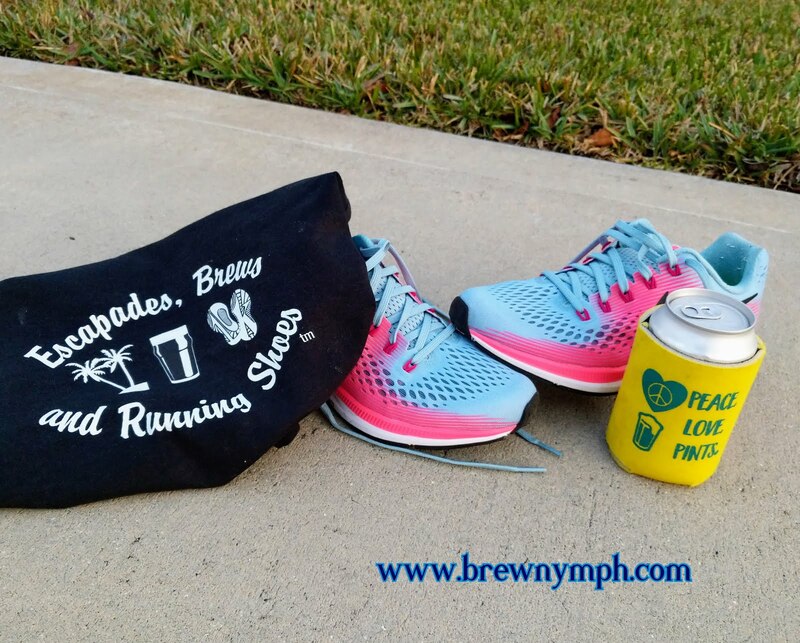 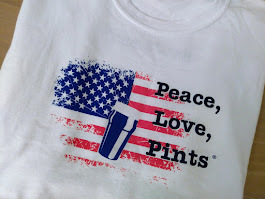 No matter what your goal is -- to run fast, improve your 5k time, or just to finish the 3.1 miles -- one thing is certain: this is a fun and loving event for a great cause. 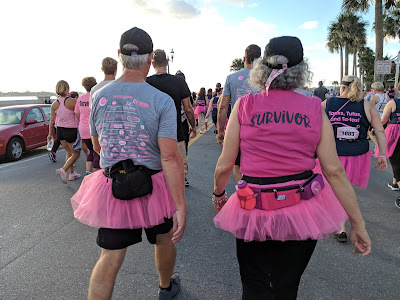 Other than the race itself, the pre-race highlight is the group photo of cancer survivors, which always seems to tug at the heartstrings. 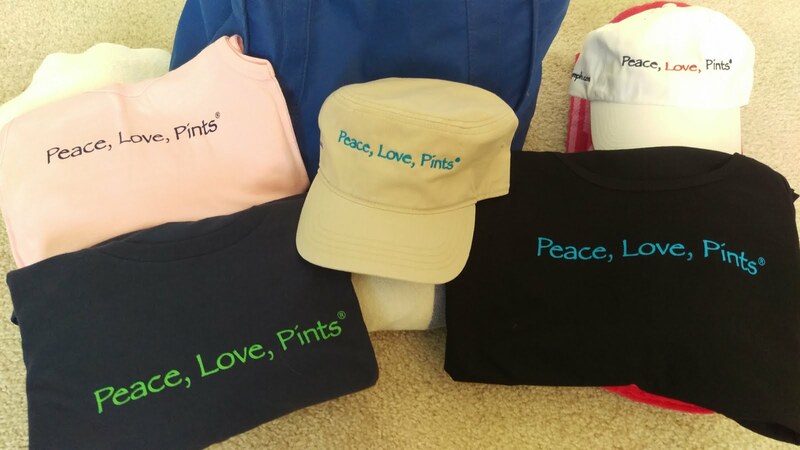 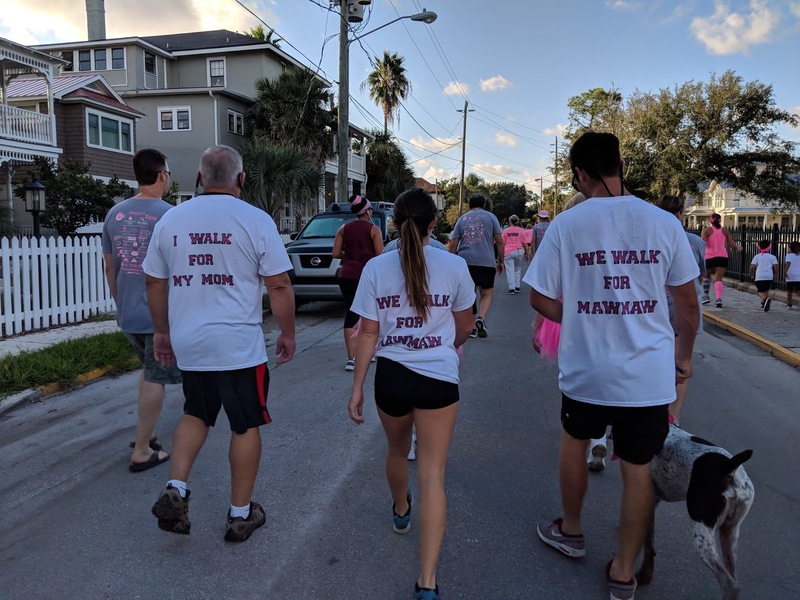 Many participants run or walk in honor of loved ones who have fallen to the disease, while others want to get involved and help out this amazing cause. 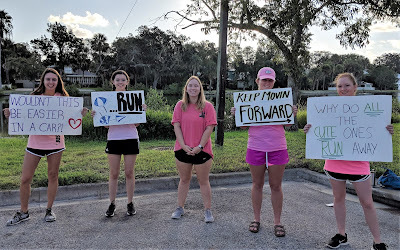 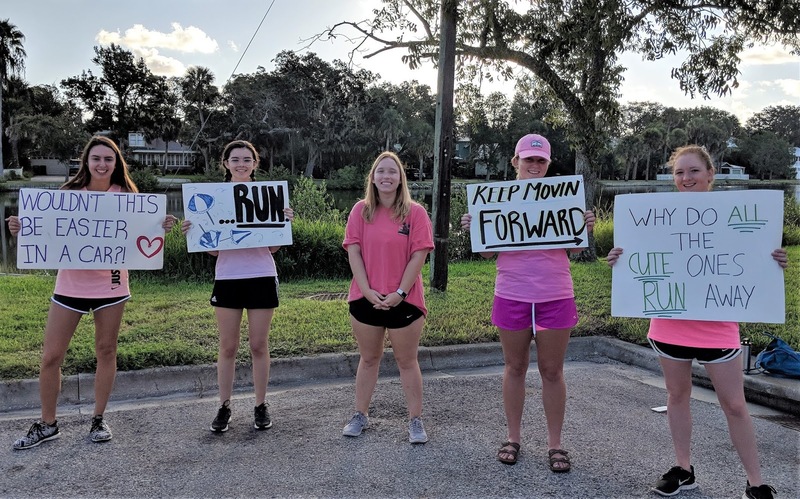 The race began at the Visitors Information Center, and the route took the participants through downtown St. Augustine and the Lincolnville neighborhood. 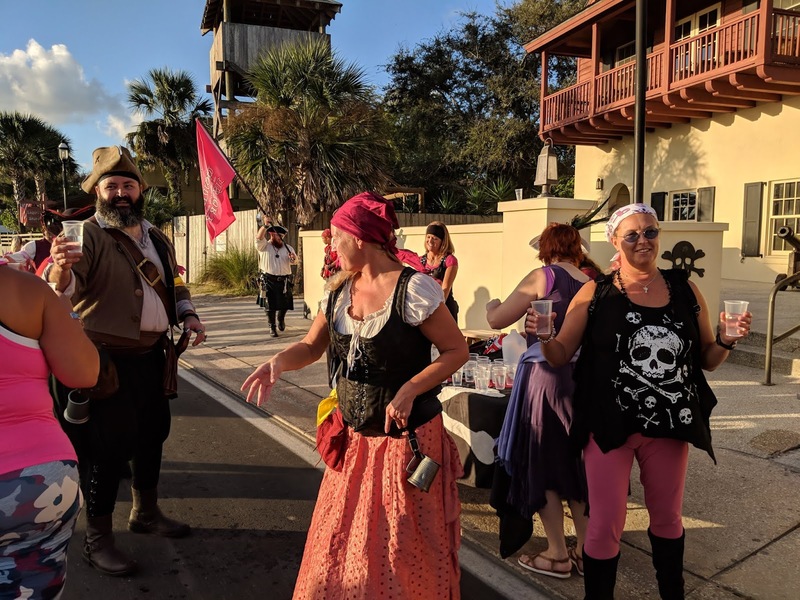 Residents and volunteers cheered the crowd through the streets toward the finish line, and local artists provided music along the route. 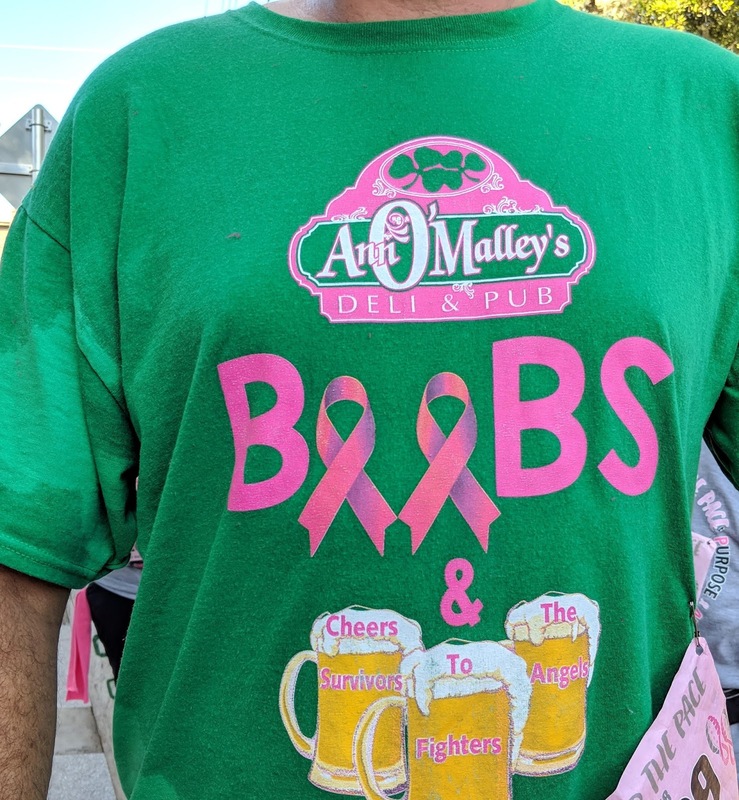 Afterwards, local watering hole Ann O'Malley's Deli & Pub offered a free beer to each participant. Congratulations to Pink Up The Pace on another year, and it looks like this event grew from last year! Take a look at these photos, snapped before, during and after the 5k. Photos: Because It Happened! 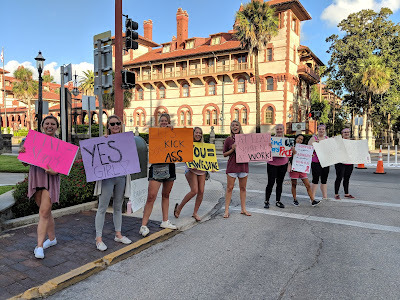 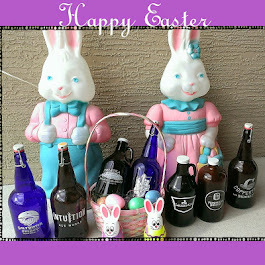 (all photos by Linda Johnson/BrewNymph). 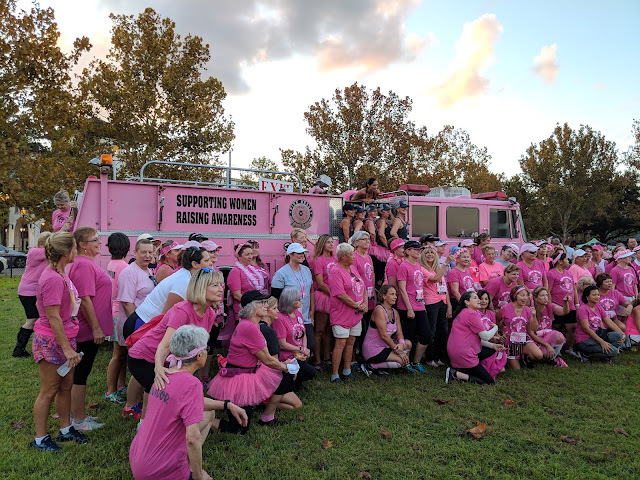 Group photo with survivors and Ashley, the pink fire truck from Pink Heals St. Johns County, another organization dedicated to helping those with cancer. 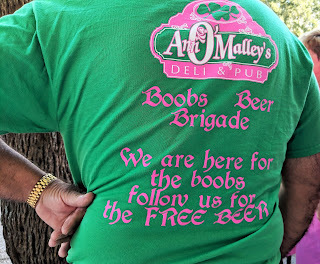 And, time for a beer at Ann O'Malley's! 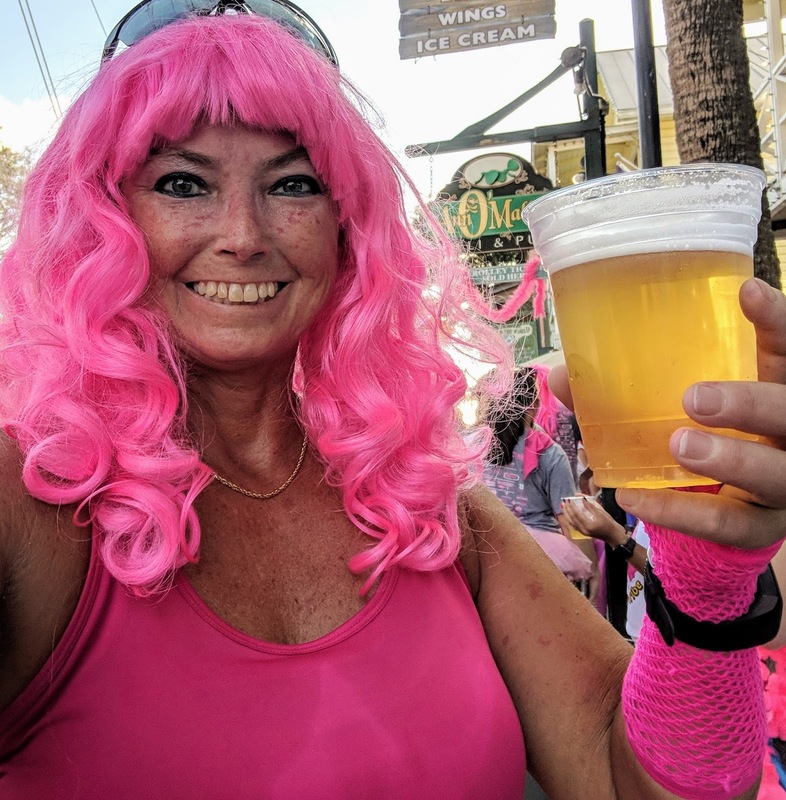 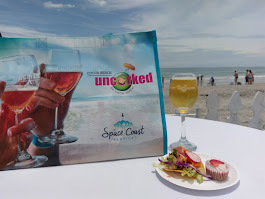 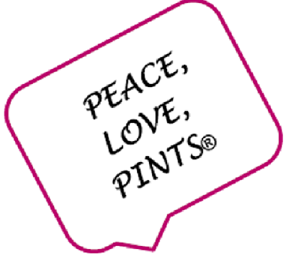 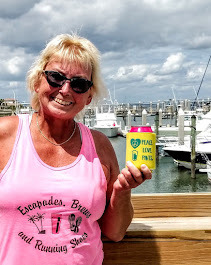 Cheers to another awesome Pink Up The Pace! 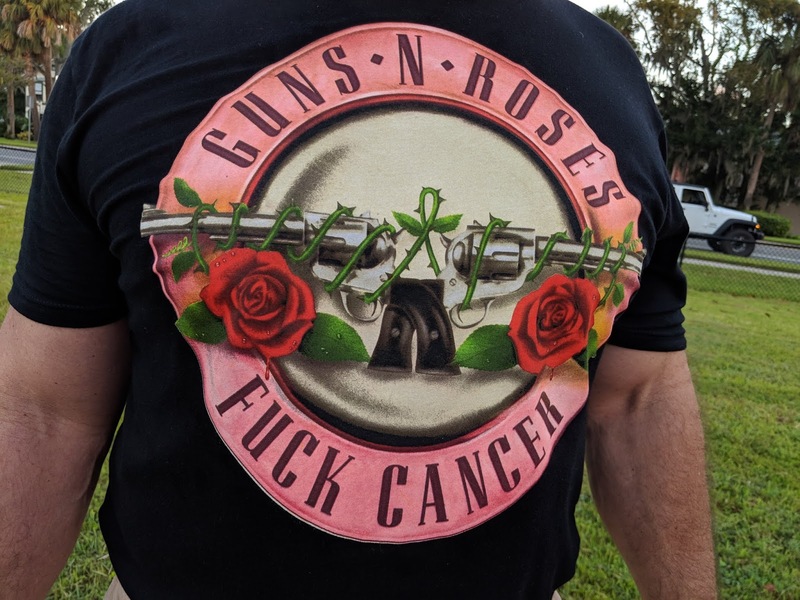 Nuff said. Yeah, I told him he could wear it this time! Another first Saturday in October! 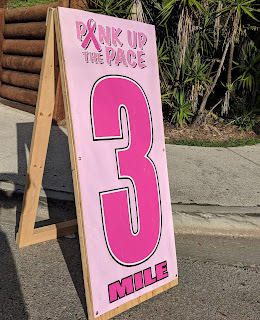 If you're into 5Ks, put this one on your calendar for 2019... you already know when it is!